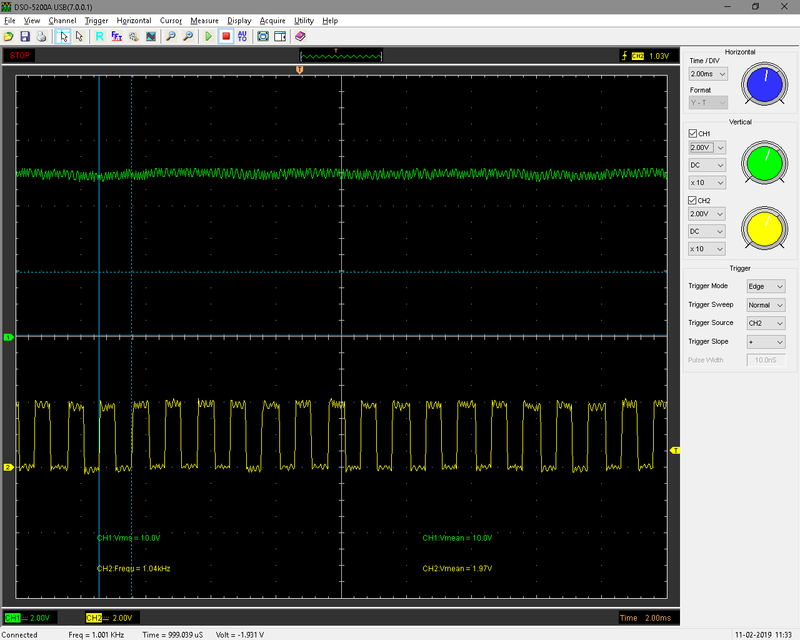 I'm using a DSO-5200A from Voltcraft and noticed the voltage measurement represented incorrectly (it is doubled). Any ideas how to reset this? Channel 1 (green) measures a (noisy) 5V and has a Vmean measurement of 10V. Channel 2 (yellow) measures the DSO's own calibration square wave. Frequency is measured correctly, but the mean value is again wrong. The cursors correctly indicate a voltage difference of 2V. Browse other questions tagged oscilloscope measurement or ask your own question. What is the frequency shown on scope screen for this measurement?